“Gospel Roots of Rock and Soul” starts with the history and foundation of black gospel from spirituals, and how those songs informed the music of the great gospel quartets. In examining how rock, soul and R&B grew from the roots of gospel, it highlights such highly influential artists as Sam Cooke, who transitioned from gospel to secular music; Sister Rosetta Tharpe and her early rock stylings; and Elvis Presley, who helped expose white audiences to gospel music. Examples of some of the most beloved contemporary pop music of the last 60 years from artists such as Aretha Franklin, Paul Simon and Ray Charles illustrate gospel music’s influence. It also features exclusive live performances recorded by WXPN within the last year from gospel groups The Fairfield Four, The McCrary Sisters and The Dixie Hummingbirds. Want more gospel? 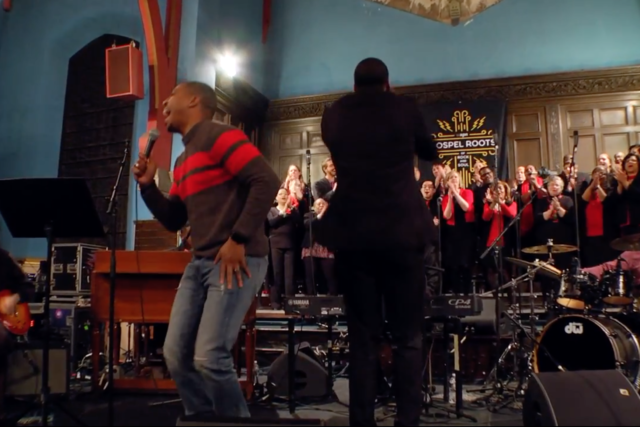 Check out Gospel Brunch at the Back Room @ Colectivo on February 17 for a lineup of Milwaukee’s top gospel groups in the quartet tradition as a preview for the annual Gospel Jubilee at the Marcus Center in March. Both events benefit Progressive Community Health Centers. During Black History Month on 88Nine, we’ll be broadcasting a new radio documentary series exploring the history of black gospel music and illustrating its significant influence on the formation of rock and soul music. “Gospel Roots of Rock and Soul” is broken up into a four-part series, which 88Nine will air each Sunday at 8 p.m. in February. Hosted by GRAMMY award-winning gospel singer CeCe Winans, “Gospel Roots of Rock and Soul” is produced by Philadelphia public radio station WXPN and distributed by NPR. four-hour documentary illuminates the profound impact that gospel music has made on popular music.